We are reaching a point in time when, all of a sudden, many famous events, people or significant eras are receding into the distance as they approach 100 years old. Time is marching relentlessly on and it is not unusual to find not one, but two generations whose knowledge of the recent past is completely threadbare. The pace of modern technological development is such that we can barely keep up, let alone pause for reflection on how we got here. When we do look back, we observe such an analogue society that the current generation sees nothing in it that they recognise. And yet, the past increasingly shapes our present and future despite the leaps and bounds that technology has enabled us to make, distancing us at an exponential rate from previous generations. 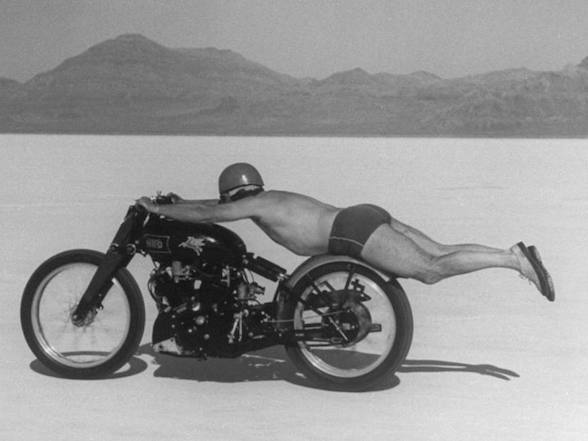 Motorcycling is a case in point. 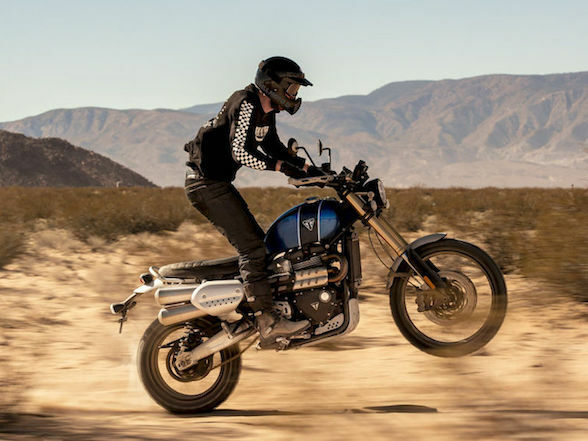 We are in a golden age of motorcycling, with design and construction techniques and electronics that have changed the landscape of motorcycling beyond all recognition. But what is the big design trend of the moment? Retro or ‘modern classic’ bikes; machines that hark back into history – at least in appearance – while accommodating modern technology. 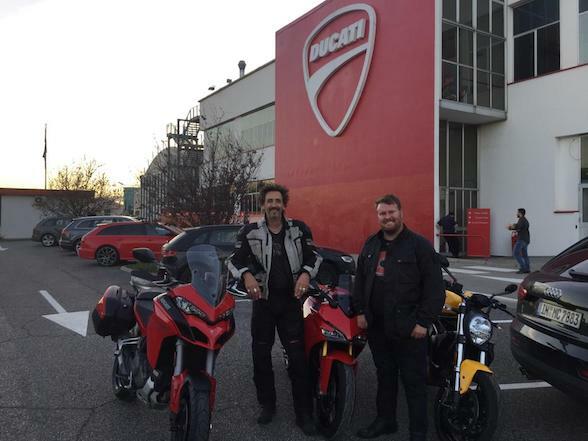 And, no matter how distant in the past, some names have become part of the folklore of motorcycling and, in the current environment, their reappearance seems perfectly natural. 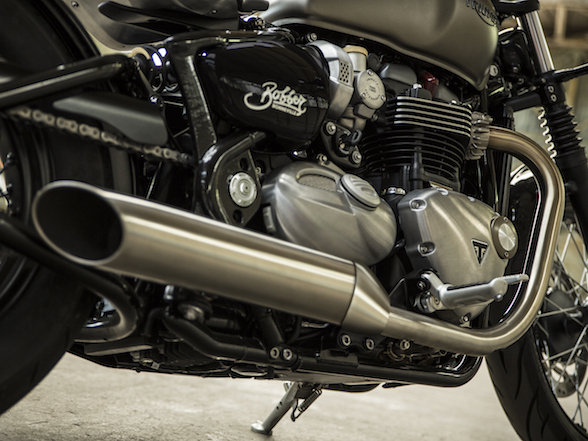 Triumph was at the vanguard of this movement, reappearing in 1994 and going from strength to strength, first with thoroughly modern bikes but then, very quickly, trading on its heritage and taking a lead in the retro bike category. Not only did other major manufacturers jump on the bandwagon, but other names reappeared as small-volume specialist manufacturers; the Norton name springs to mind. 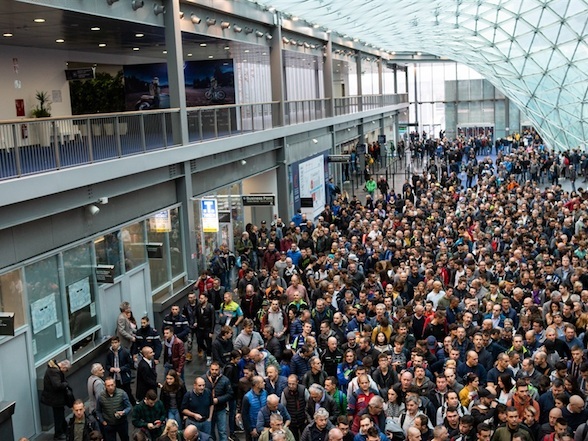 We’ve just been to the EICMA Show in Milan and, walking round the halls, there was a lot that was interesting, a lot that was spectacular but not a lot that made you stop in your tracks and simply stare, open-mouthed. 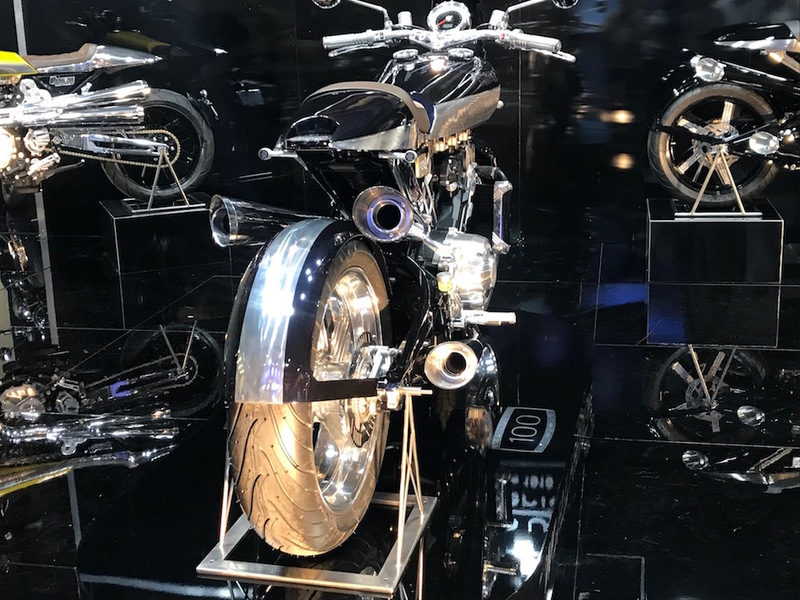 Until, that is, we reached one small stand, very simple but very stylish, with one of the iconic names from motorcycling’s past emblazoned on the back wall and a selection of motorcycles that looked like nothing else, but which were at once instantly recognisable and immediately arresting. It was the Brough Superior stand. 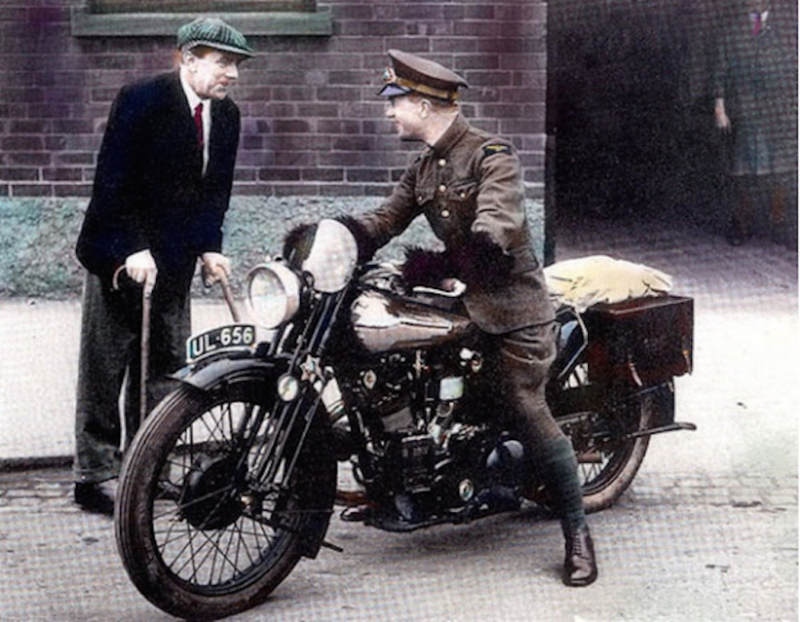 George Brough was a perfectionist and wanted to make motorcycles that were not only superior to those made by his father, William Brough but also far superior to anything else on the market. 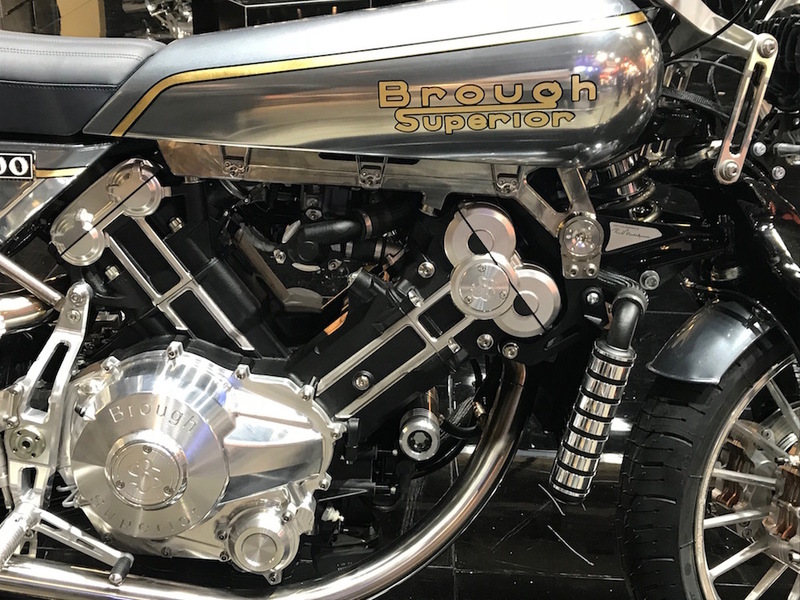 Thus was the Brough Superior name forged into history and, between 1919 and 1940, approximately 3048 machines were built, often to a customer’s particular order, meaning that very rarely were two bikes alike. Prices ranged from £100 – 180 which may not seem like a lot until you realise that the average annual salary in the UK at that time was £200. Put it another way; £150 bought you a house. These were rich man’s toys. Brough used proprietary V-twin engines from J.A.P. and Matchless in his motorcycles and he guaranteed the performance; each bike came with a certificate showing that the bike had achieved the speed depicted by its name; thus, the SS80 had achieved 80mph and the SS100, 100mph. If they didn’t achieve this, they were sent back to the factory for rectification until it performed as promised. In a contemporary road test, H.D. Teague of The Motor Cycle magazine described it as the ‘Rolls-Royce of motorcycles’. George Brough then started using this line in his advertising, with the blessing of Rolls-Royce; the only time the company has ever allowed its name to be used for anything other than its own business. The Brough Superiors were that good. They were the conveyance of the rich and famous, none more so than T.E. Lawrence, Lawrence of Arabia. He owned eight and a ninth was on order when he was fatally injured in a crash on Brough No.8 before he could take delivery (Lawrence named all his Broughs; the first was called Boanerges, or ‘Son Of Thunder’ in Greek and then the next seven George I to VII, after George Brough). Then World War Two started and George Brough turned his factory over to war work, completing crankshafts for the Rolls-Royce Merlin V12 engine that powered Spitfires, Hurricanes, Mosquitoes and many other British and American wartime planes. When the war ended, Brough found that there were no suitable proprietary motorcycle engines available and wound up the company, although he continued to make parts for his motorcycles until 1969. On paper, it seems a little flimsy upon which to pin a legend but legendary motorcycles they were and remain, some 70 years later, which is why the reappearance of the Brough Superior name, not only as a trademark but as a complete recreation or re-imagination of the spirit of George Brough, is such a big deal. 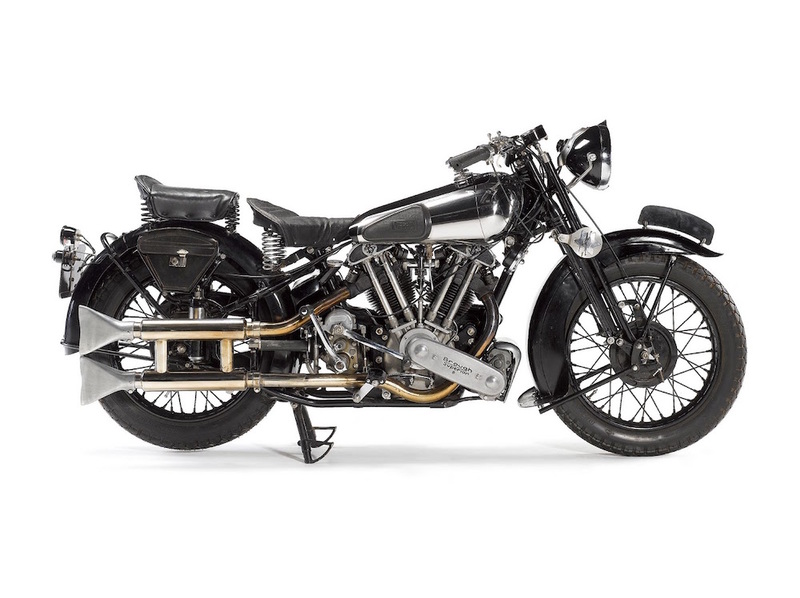 This 1938 Brough Superior SS100 was one of the bikes owned by Lawrence and sold for a record £315,000 in 2014. There can be no doubt that, while the likes of Triumph, Ducati and BMW, to name but three, have cornered the market for affordable history, there will always be a market for something a little more bespoke. But it still has to perform as well as it looks. 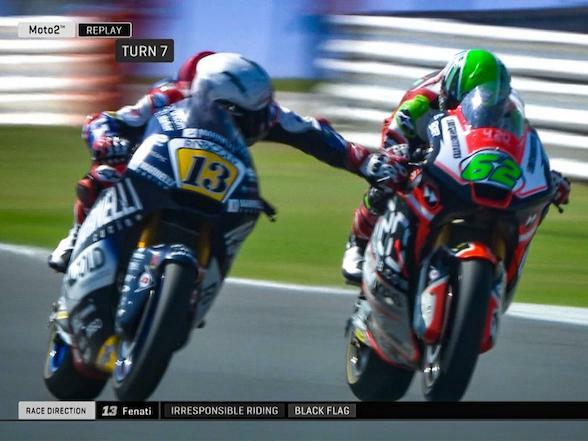 For a motorcyclist, individuality is important but, possibly more important is ability and performance. 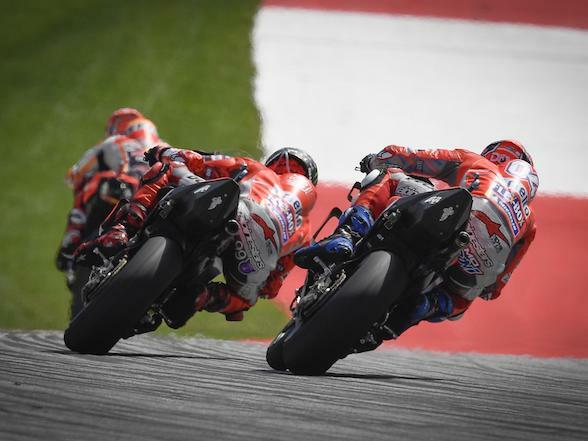 It is not merely enough to look good or, indeed, have the ability to be fast; the motorcyclist generally wants to experience it for him- or her-self because they care about that, rather than caring about how good they look on the Cote D’Azur. And that is exactly where the new Brough Superior comes in to the picture. 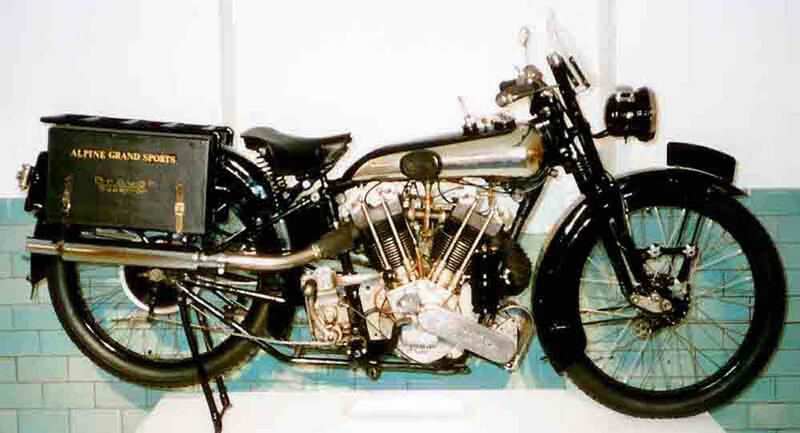 Some short time back, Mark Upham purchased the rights to the Brough Superior name. 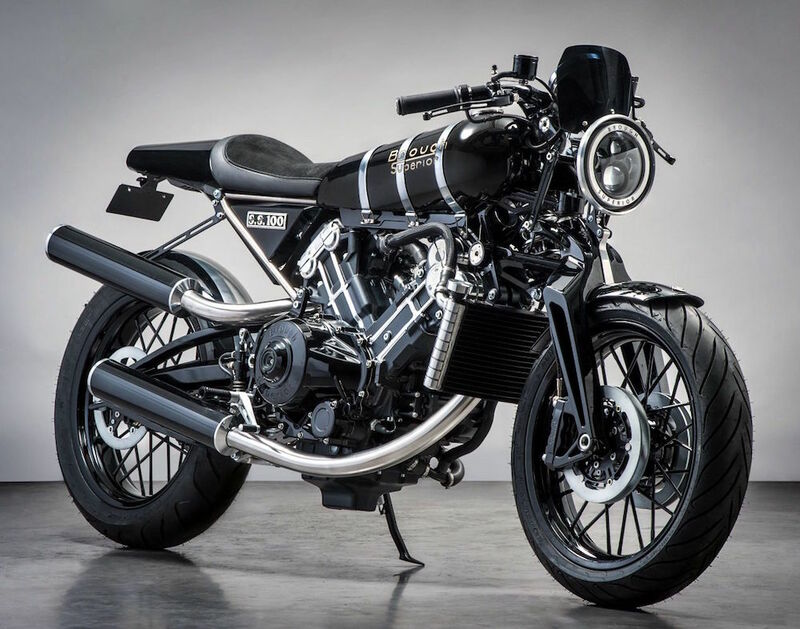 He engaged Thierry Henriette of Boxer Design in Toulouse, France to design an all-new Brough Superior. Upham insisted on retaining visual clues linking the new motorcycle with the original Broughs while maintaining the original ethos of the company and George Brough himself – innovation, excellent design and superior construction and materials. 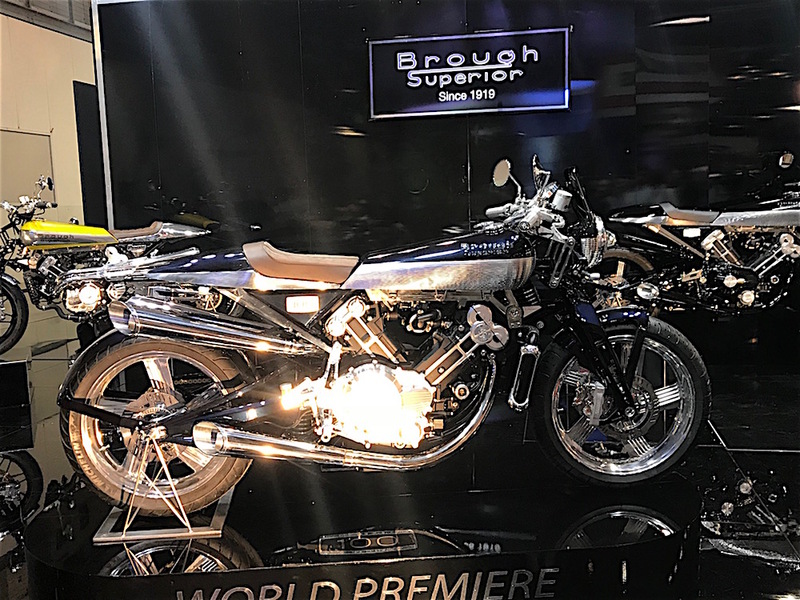 The new Brough Superior is powered by an 88-degree V-twin engine of 990cc, producing anything from 100bhp to 140bhp, depending on the state of tune. 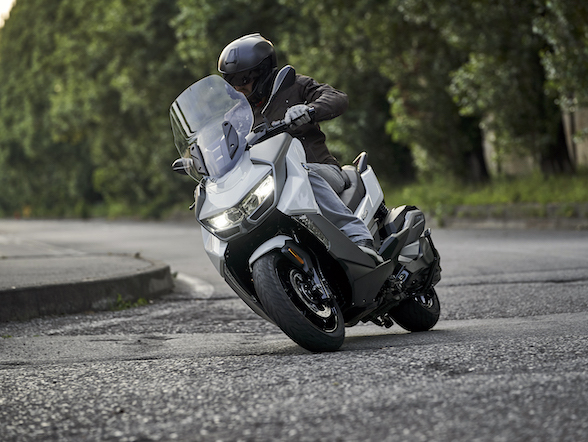 The engine is a stressed part of the chassis and unusual Fior-type forks are used at the front (similar in concept to the BMW Duolever front suspension found on the K1300 and K1600 models) while the front brake comprises four discs – two either side – clamped by a single Beringer calliper each side. 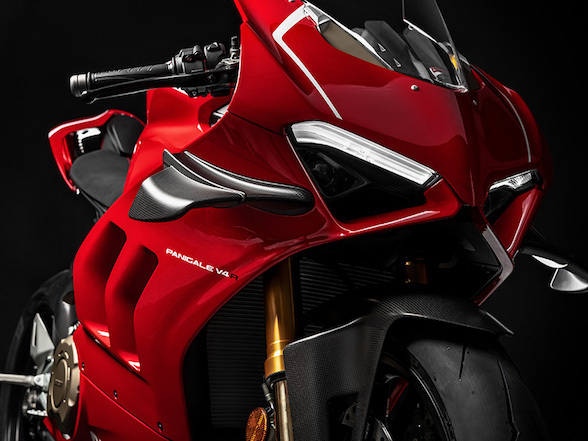 The bike is constructed from Titanium, carbon fibre and aluminium. The new Brough Superior is technically interesting but, just as important, is also achingly beautiful. 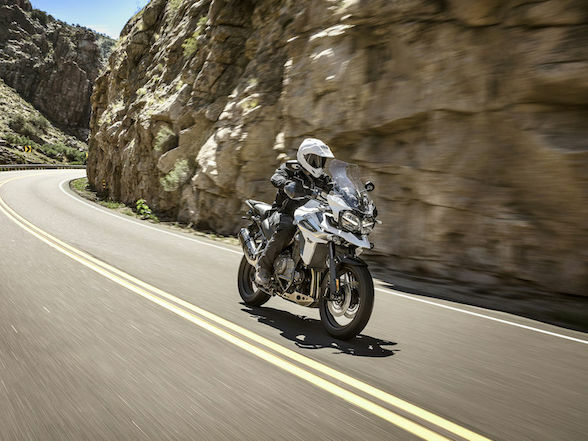 By taking its design cues from the past, it strikes a completely new note in modern motorcycle design. As with the original, it’s not cheap – prices in the £50,000 bracket – but you are buying into innovative technology and meticulous attention to detail as well as entry into an exclusive club that celebrates its centenary next year. So many motorcycle manufacturers have come and gone without leaving so much as a ripple on the consciousness of modern society. Some names have endured, however, and the Brough Superior has become an almost mythical machine. Thankfully, the owners of the new company have realised this and have gone to great lengths to not dilute the legend in any way, bringing it bang up-to-date in as sympathetic manner as possible.